One of our favorite new places to eat is New York City’s vegetarian mecca Superiority Burger. 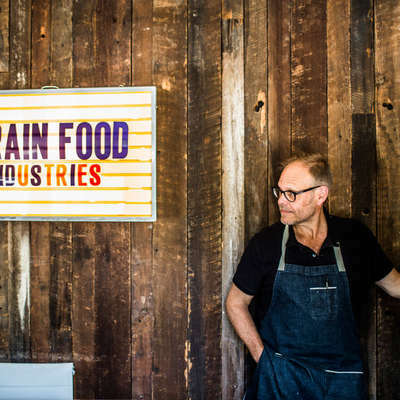 The chef Brooks Headley and his crew are making some of the most inspired and intense food around. Dangerously out-there combinations of flavors, a dizzying mix of references, and perfect execution: what more could you ask for? One of the best secrets we learned from studying Headley’s work last year is his fondness for the products of Hodo Soy, an Oakland, CA based producer of Soy products ranging from Soy Milk to packaged, marinated tofu. 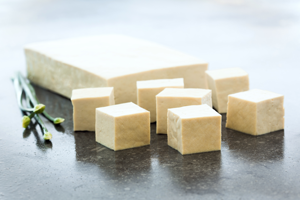 The extra-firm tofu is a favorite of ours, and so far exceeds our experiences and expectations that we had to recommend it here. We love it in sandwiches, baked, breaded and fried (our kids love this), or raw dipped in a simple sauce of ginger, sesame oil, and soy sauce. We’re literally drooling as we write this. Need some tofu now.